Game Makers to Fund Kickstarter Campaign Through Indiegogo Campaign | OhGizmo! By Hazel Chua on 11/29/13 • Leave a comment! Crowdsourcing is pretty popular these days, and for good reason. It helps people raise funds so they can turn their ideas and concepts into a reality, and get a little press in the process if their project rises to the top on the crowdfunding platform. Kickstarter is the main player and gets the most coverage, but Indiegogo is a worthwhile alternative which provides more flexible funding options. Most people just choose one over the other and get on with their project. Others, like Baron Von Husk, want the best of both worlds. 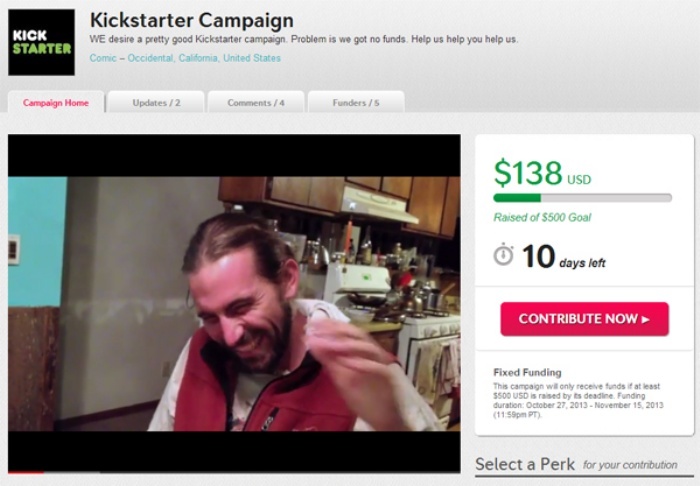 What he did was start a campaign on Indiegogo…to fund his project on Kickstarter! He doesn’t talk about his project in detail on Indiegogo but he does explain why he wants to get his campaign on Kickstarter. All Baron says is that he’s working on a “great game” which involves social media integration and actual plastic game cards. Baron was able to raise $582 on Indiegogo, almost a hundred bucks more than his $500 target. Hopefully, he’ll put that money to good use to come up with a Kickstarter campaign that’s going to be better than what they’ve previously come up with. I wonder how Indiegogo feels about this.